Should we feel guilty for buying ourselves gifts during the season of giving? With all of the big holiday sales, it’s not easy shopping for hours for our loved ones and not treating ourselves to a little gift. 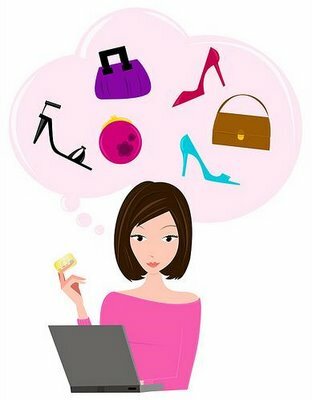 Perhaps online shopping may ease the guilty pleasure. We all know that one of the biggest advantages of shopping online is the ability to shop whenever, and we all know that the disadvantage of online shopping is not being able to physically see the item which is awful when you’re purchasing clothes online. New technology like augmented reality is attempting to fix the problem with the solution of trying on clothes virtually. My beau is a web designer and marketer so he’s always sharing the newest technological trends with me. He introduced me to augmented reality a few months ago. Recently he launched a website for Augmented Reality News: www.augmentedrealitynews.org. One article about how augmented reality can enter the household with Microsoft’s Kinect really caught my eye. The video (click below) in the article shows how customers can easily see how clothes will look on their bodies before making the purchase. This will give companies the opportunity to make their brand and product offering interactive in a way never thought possible. Augmented reality and other technological advances still yet to come will give businesses numerous opportunities while making the customers buying experience more enjoyable. Similar to how video game systems have advanced to becoming more interactive, like the Wii and Xbox Kinect, online shopping will advance to make the shopping experience more enjoyable and as easy as possible. Perhaps next Christmas, we will be in the “virtual fitting room” shopping for that little gift to ourselves. What are your thoughts about using a virtual fitting room?